Google Assistant will be available soon on Android TVs, with plans to offer the voice-activated personal assistant on car infotainment systems and smartwatches as well. The technology will feature in the coming months, starting with the Nvidia Shield, on Android TVs in the U.S. running Android 6.0 Marshmallow or Android 7.0 Nougat. Some of the devices expected to ship with Google Assistant are the AirTV Player, Sharp Aquos, Sony Bravia and Xiaomi Mi Box, Sascha Prueter, director of Android TV at Google and Gummi Hafsteinsson, product lead for Google Assistant, wrote in a post on Thursday. 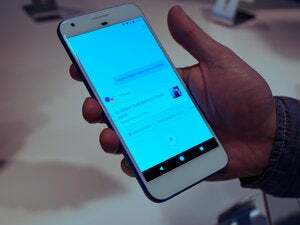 “Over time, you'll also see the Assistant come to other new surfaces, like smartwatches running Android Wear 2.0, Android-powered in-car infotainment systems and many other types of devices through the Embedded Google Assistant SDK,” the executives wrote in the post. 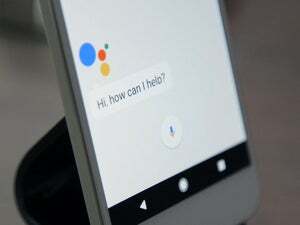 Google Assistant is already available on Pixel smartphones, Google Home and the Allo smart messaging app. Rival Alexa from Amazon is also making waves at CES in Las Vegas, announcing a number of design wins, including in the automotive and smartphone markets, such as the integration of the cloud-based voice assistant with Huawei's Mate 9 smartphone. Ford Motor, for example, said Wednesday that it would offer Alexa integration with its car infotainment system Sync 3 AppLink. Starting with connecting users to their cars from their homes through Alexa devices such as Amazon Echo, Echo Dot and Amazon Tap, the integration would down the line let users take advantage of a broad set of Alexa skills using their voice while driving, the car maker said. Microsoft is also a significant player in this market. A new win for the company could be Volvo Cars, which said recently that it is exploring the use of Cortana, Microsoft’s intelligent personal assistant, in its vehicles. Google tied with Mercedes Benz last month to allow users to communicate with and control their cars from their homes, using Google Assistant on Google Home.